To see my interview on WFMY News 2 on this, click here. 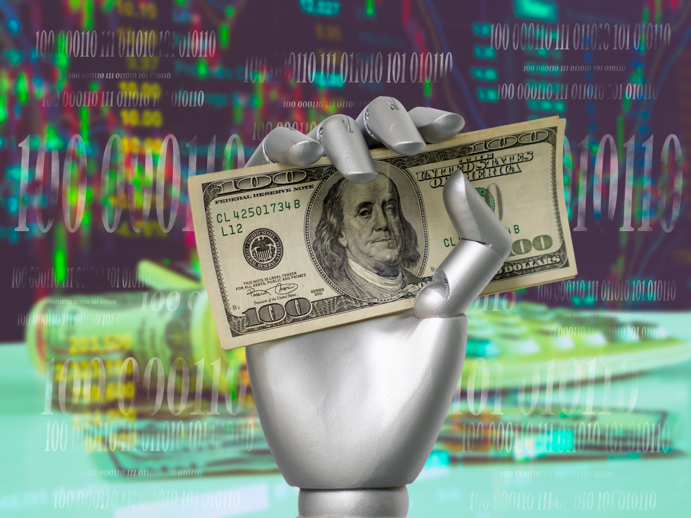 With the term “robo-advisor” becoming more commonplace in the finance arena, is it any surprise that more and more automated forms of robo-advising are flooding the market? The question on everyone’s mind at this point is how risky are they? And the short answer: They may be riskier than you think. For anyone not already familiar with a robo-advisor, it is a wealth management service available through a website or app that offers portfolio management advice via an automated algorithm. These algorithms have removed the need for human interaction with an actual financial advisor/planner. 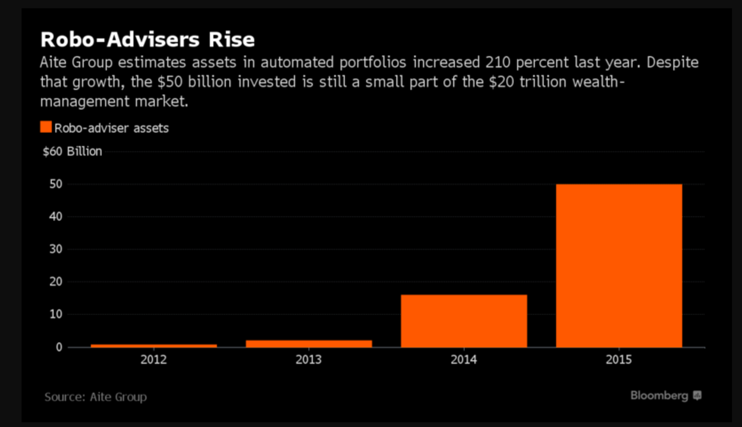 One of the most dangerous aspects of many robo-advisors is the fact they are untested. The majority were built and launched during a time stocks were rising, and their algorithms are not designed to managed portfolios properly during long-term periods of market instability and declining stock prices. Even a recent Nasdaq article, which quotes Warren Buffets advice, “Beware of geeks bearing formulas,” warns of investment rookies to not entrust their savings to these untested algorithms. Another downside of investing via a robo-advisor is you are putting your financial security and future in the hands of a computer/algorithm. Don’t be fooled by a sharp looking app and/or website. Your money is basically hanging in the balance of an algorithm. Robo-advisors have no input regarding your distinct situation, as opposed to an advisor who understands and knows your high and low seasons, has built a relationship with you, and understands your goals. You can also kiss the possibility of getting good financial advice regarding your unique situation goodbye! Many of these algorithms are too simple to understand complex investing and portfolios typically seen in older investors. There is no accountability; although robo-advisors are required to be registered with the SEC, they are built by software programmers not financial advisors. This means they are not fiduciaries and do not have to meet the standard of an RIA. When investment decisions go south, who is accountable? Now that we are more aware of the risk behind robo-advisors, let’s take a closer look at whether people prefer this mode of investing versus a human-to-human relationship with a financial advisor. According to a Salesforce study, 89% of Baby Boomers, 86% of Gen Xers, and 81% of Millennials still prefer an actual financial advisor to handle their investments and financial future. While this is great news, the study also pointed out that almost 70% of investors want to collaborate with an investor who uses modern financial planning tools and apps. So, what does this mean for financial advisors? Your best bet is to take the good aspects of a robo-advisor such as real-time updates, 24/7 accessibility, a variety of communication channels, and a collaborative platform and offer these to your clients (and leave the untested algorithms and strategies behind). Financial advisors who use these tools but can bring a human aspect to their services will find they are at an advantage and their clients will be too. 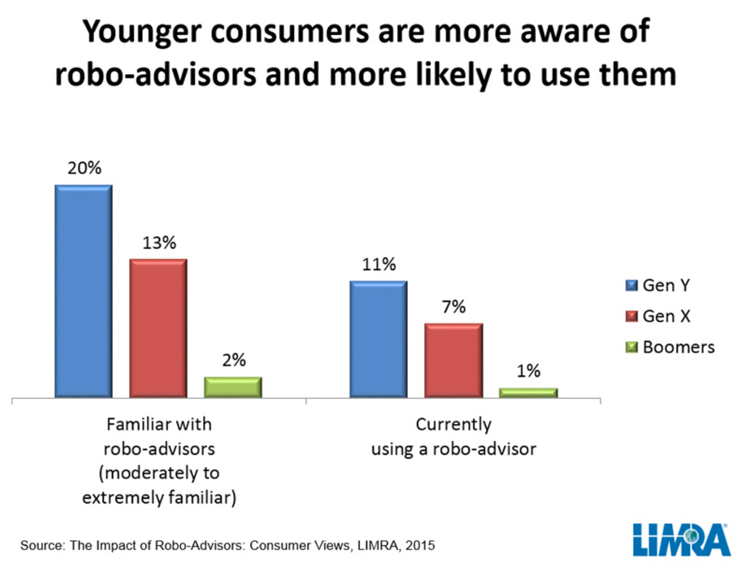 While the number of robo-advising platforms is increasing, the reality is clients still prefer and seek out interaction with an actual financial planner. And that is great news.